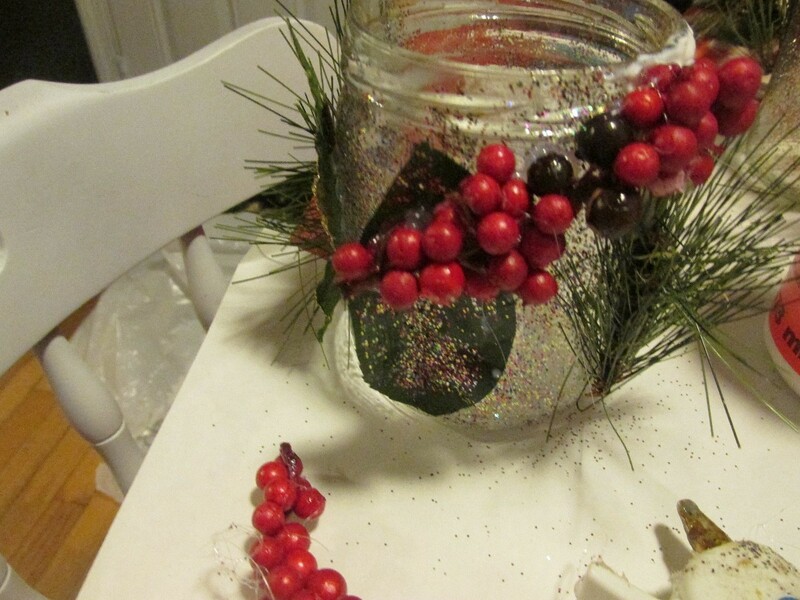 This craft is about making decorated mason jars lighted by a tea light inside. 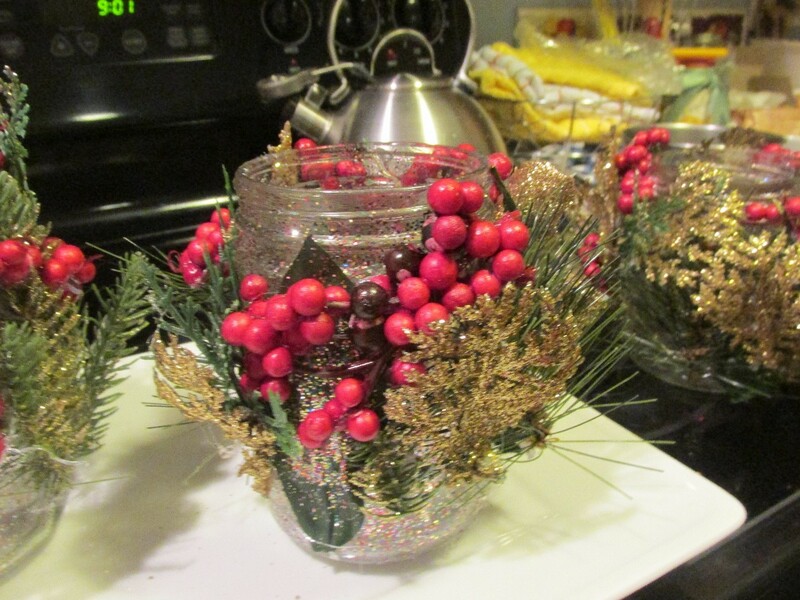 It's an easy, fun, and very attractive decoration. 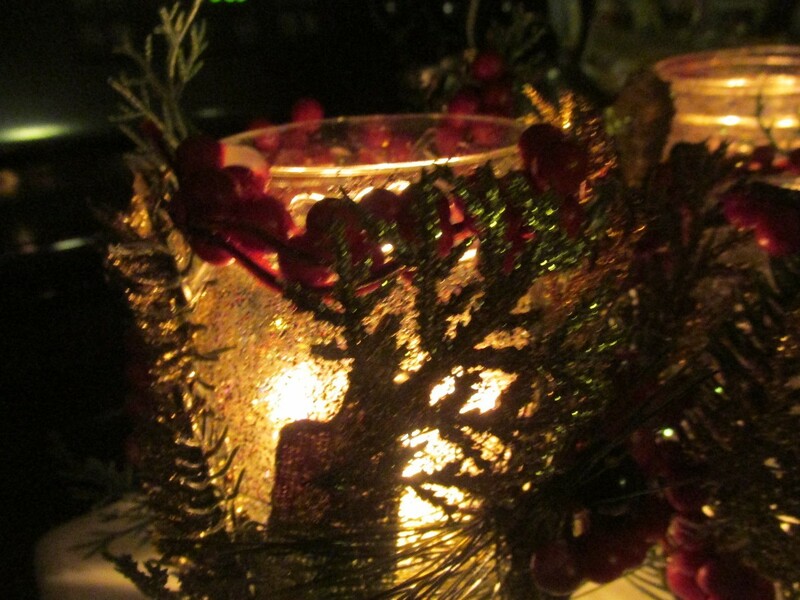 You could use these as place settings at a Christmas dinner. 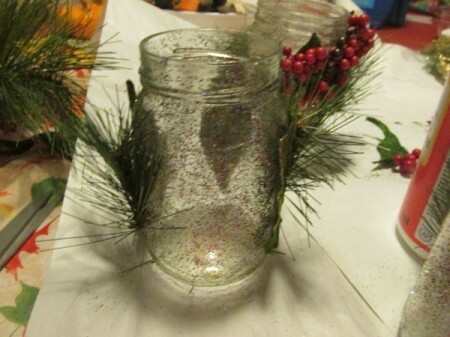 Mason jars or any reusable glass jars, any size or width. 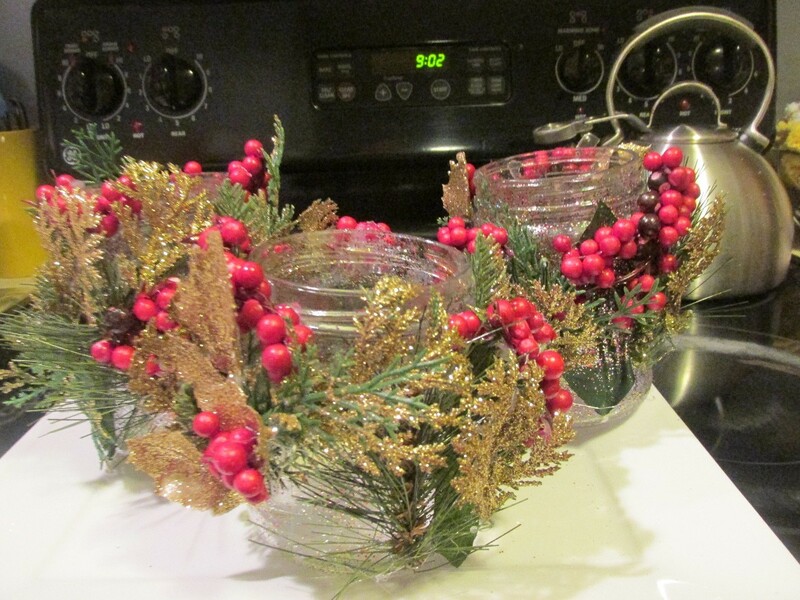 decorative pieces, pines, berries, gold leaves, holly, glittery branches, leaves and branches from decorated wreaths - cut up old wreaths and items you don't use anymore. Lay out a large paper to work on. Heat up your glue gun. Using the Modge Podge, brush it all over the mason jar and let it sit to dry. 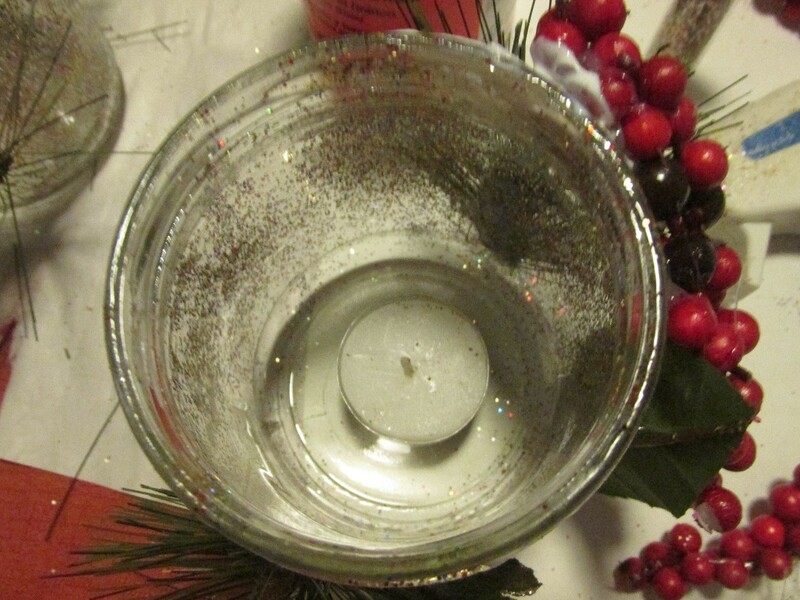 While it is drying, sprinkle it with glittler all around. 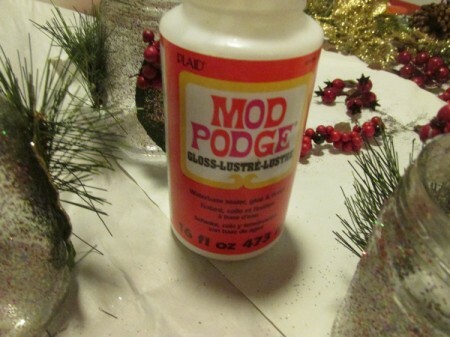 You can use gold, silver or assorted glitter. Let this dry. 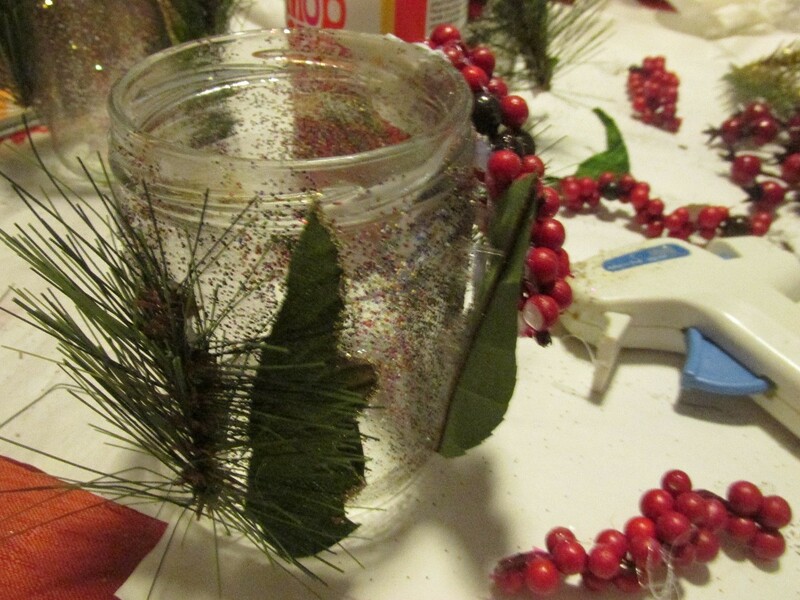 Using your cut up pieces of decorations, hot glue your pines, branches and leaves around the jar. Then add holly, berries, and gold or silver decorations. Leaving some spaces to see inside the jar. When you think you have enough decorations, let this dry and put a tea light candle inside and light it up. It shows a soft evening glow! some ribbon around the screw tops would look nice!